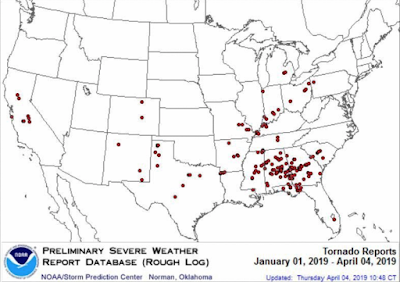 Here is a map of tornadoes so far in 2019 (through yesterday). 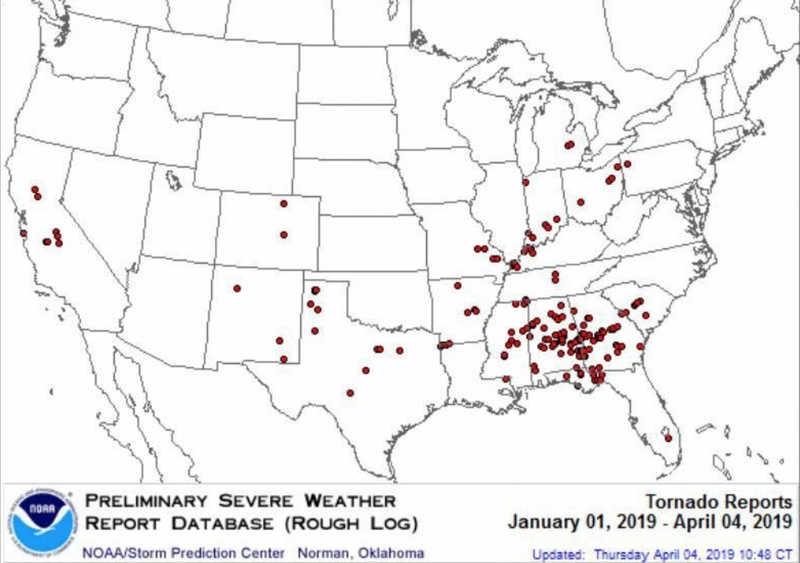 It is astounding that zero tornadoes have occurred in the Great Plains (KS-OK-NE and points north). Meanwhile, seven have occurred in California and three in New Mexico. The next six days are going to be active in terms of strong thunderstorms across the southern half of the nation, so this map will fill in more.